The 2017–18 Liga MX season was the 71st professional season of the top-flight football league in Mexico. The season is split into two championships—the Torneo Apertura and the Torneo Clausura—each in an identical format and each contested by the same eighteen teams. The following eighteen teams are competing this season. Chiapas was relegated to the Ascenso MX after accumulating the lowest coefficient last season. 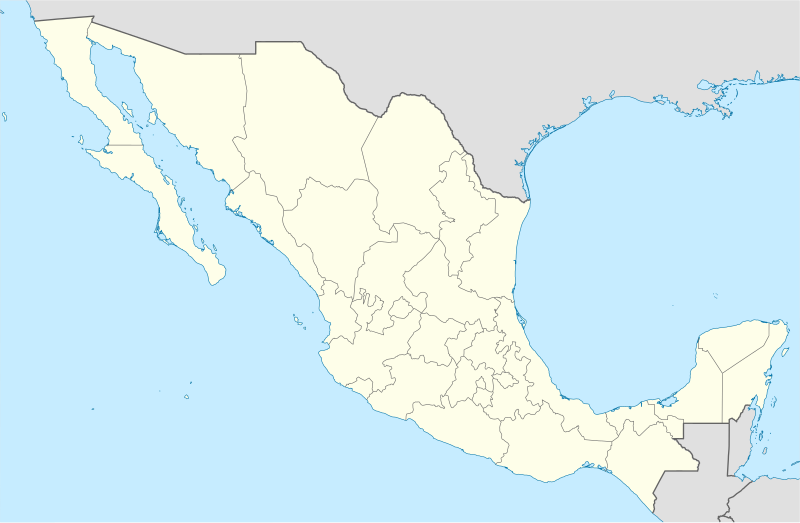 Chiapas will be replaced by the Ascenso MX Clausura 2017 champion Lobos BUAP, who won promotion after defeating the Ascenso MX Apertura 2016 champion Dorados de Sinaloa in the 2016–17 Ascenso MX Promotion Final. The Apertura 2017 is the first championship of the season. The season began on 21 July 2017 and ended on 19 November 2017. ^ BUAP was supposed to be relegated but Tapachula were not certified to be promoted prior to the beginning of the season. 1: Team played in Ascenso MX last season. Both finalists qualify to the 2019 CONCACAF Champions League (champions as MEX1, runners-up as MEX3). The Clausura 2018 is the second championship of the season. The regular phase of the tournament began in January 2018. ^ The first 8 places in the table qualify for the Liguilla, if team last in Relegation table is in the top eight, the ninth placed team qualifies. Updated to games played on 29 April 2018. Both finalists qualify to the 2019 CONCACAF Champions League (champions as MEX2, runners-up as MEX4). The aggregate table (the sum of points of both the Apertura and Clausura tournaments) will be used to determine the participants of the Apertura 2018 Copa MX. This table also displays teams that have qualified for the 2019 CONCACAF Champions League. ^ "Gustavo Díaz es el nuevo técnico del León" [Gustavo Díaz is the new manager of León] (in Spanish). Marca. 28 August 2017. Retrieved 10 September 2017. ^ "Siboldi es presentado como técnico de Santos" [Robert Siboldi is presented as new coach of Santos] (in Spanish). La Afición. 18 September 2017. Retrieved 18 September 2017. ^ "José Cardozo, nuevo técnico de Veracruz" [José Cardozo new coach of Veracruz] (in Spanish). Medio Tiempo. 23 September 2017. Retrieved 18 September 2017. ^ "'Chiquis' García deja de ser DT de Puebla; llegaría 'Ojitos' Meza" ["Chiquis" García out of Puebla] (in Spanish). ESPN. 26 September 2017. Retrieved 26 September 2017. ^ "Enrique Meza nuevo DT de Puebla" [Enrique Meza new coach of Puebla] (in Spanish). El Financiero. 3 October 2017. Retrieved 3 October 2017. ^ "Srgio Egea renuncia como técnico de Pumas" [Sergio Egea resigned as coach of Pumas] (in Spanish). El Universal. 3 October 2017. Retrieved 3 October 2017. ^ "Jaime Lozano deja de ser entrenador del Querétaro" [Jaime Lozano is no longer the coach of Querétaro] (in Spanish). El Mercurio. 22 October 2017. Retrieved 23 October 2017. ^ "BOLETÍN OFICIAL CLUB TIJUANA" [Official Bulletin Club Tijuana] (in Spanish). Club Tijauna. 30 October 2017. Retrieved 31 October 2017. ^ "José Cardozo deja de ser entrenador de los Tiburones Rojos" [José Cardozo is no longer the coach of the Red Sharks] (in Spanish). 23 November 2017. Retrieved 24 November 2017. ^ Arnold, Jon (5 December 2017). "Cruz Azul Announces Pedro Caixinha As New Head Coach". Retrieved 5 December 2017. ^ "José Guadalupe Cruz deja de ser el Director Técnico de Atlas FC" [José Guadalupe Cruz is no longer the coach of Atlas FC] (in Spanish). 15 January 2018. Retrieved 16 January 2018. ^ "Third time a charm? Rubén Omar Romano again announced as Atlas Manager". 25 January 2018. Retrieved 26 January 2018. ^ "Relevo en la Dirección Técnica del primer equipo de Atlas FC" [Change in the management of the first team of Atlas FC] (in Spanish). 19 March 2018. Retrieved 19 March 2018. ^ "Rafael Puente fue cesado de Lobos BUAP" [Rafael Puente was sacked from Lobos BUAP] (in Spanish). 2 April 2018. Retrieved 2 April 2018. This page was last edited on 8 April 2019, at 05:46 (UTC).